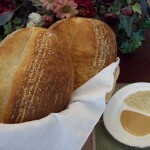 When properly performed, the techniques of scoring and steaming both serve to improve the quality and esthetics of the finished bread. Scoring provides a place for the controlled expansion of the loaf during the oven spring phase of baking, thus contributing to the lightness of crumb and visual attractiveness of the loaf. Steaming during the first few minutes of baking serves a dual purpose; it delays the setting of the crust so that maximum oven spring can be achieved and it helps gelatinize the starch at the surface, giving the loaf a beautiful, shiny crust. 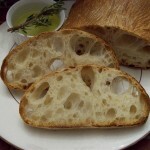 As I see it, the condition of the dough immediately prior to scoring has as much, if not more, of an impact on the ability to perform a proper scoring as the baker’s scoring technique itself. 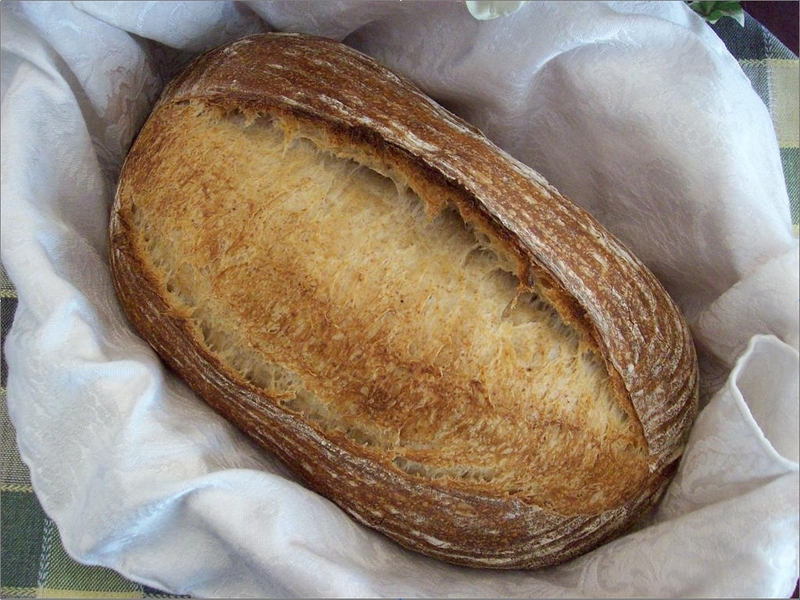 If the dough is too strong, the gluten strands at the site of scoring will not give during the oven spring and the cuts will not open properly. 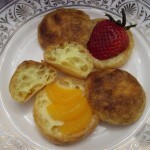 Interestingly, poorly opened cuts can also result from an insufficient or overabundant use of steam during the bake. 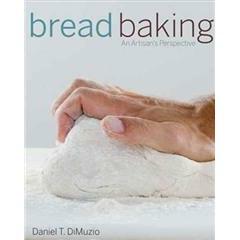 If the dough is too weak, the blade will snag on the dough and the baker runs the risk of deflating the dough as he or she is performing the scoring. 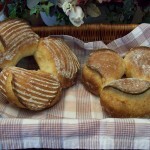 The manner in which the scoring is performed is dependent upon such factors as the dough composition, the loaf shape and the effect the baker wishes to achieve. 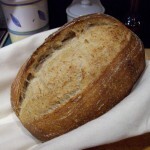 To score a typical boule, the blade should be held perpendicular to the surface of the loaf and drawn quickly, in one motion, across the surface of the dough. I find a lame fitted with a double-edge razor blade to be ideally suited to the task. 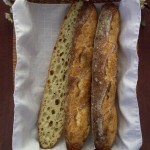 For a baguette or batard, the blade should be held at a slight angle to the dough surface so that the blade lifts up a small flap of dough when the score is made. During baking, this dough flap produces the well-known and much sought after ”grigne” of a properly scored baguette or batard. Steaming has always been problematic for the home baker. Without the steam injection systems available in commercial deck ovens, the home baker has had to resort to any one of a number of different techniques to generate steam. These techniques have included spraying the walls of the oven with a water mist just prior to and after loading, as well as throwing ice cubes into the oven at the time of loading, either directly onto the oven floor or into a pre-heated pan. For ovens which don’t have a tight seal (such as mine), I find both of the above techniques to be deficient. The clouds of steam released by my oven whenever either of these techniques was employed led me to look for other, more efficient means of steam generation and usage. The recent resurgence of “no-knead” bread helped provide me with a clue. 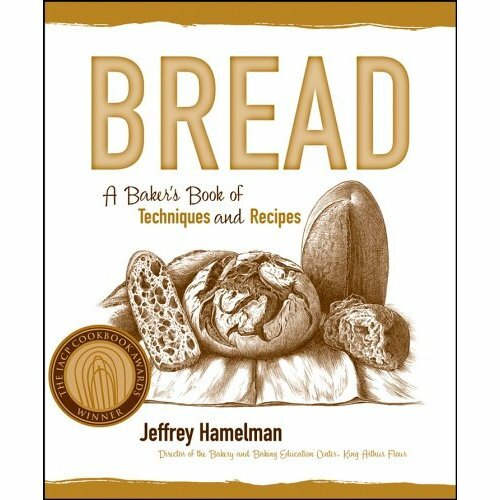 This bread is baked in a covered dutch oven, thereby confining the steam released by the dough during baking. 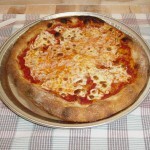 In essence, the dough acts as its own steam generator. 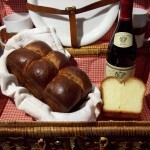 A cover placed over a free-form bread while baking should serve the same purpose. At about this time, I was made aware of the Steam Bread Maker, a product offered for sale which consists of a metal cover with a small inlet hole and a hand-held steamer. The idea here is to not only cover the dough but also to inject steam into the cover through the cover’s inlet hole. It was easy enough to put together my own steaming system, especially since I already owned a hand-steamer. An inverted buffet serving tray, inexpensively obtained at my local restaurant supply store, proved to be ideal for use as the cover. My scoring of this loaf could have been better; I needed two passes to give the desired cut where it should (and normally does) take only one. The final loaf resulting from this procedure can be seen here. 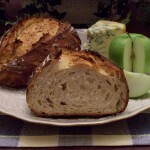 I am in awe of your site, techniques and gorgeous breads! 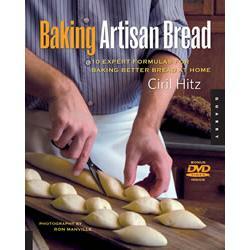 I am just now learning to bake breads and hope to someday be at your level. I have a question about your peel. Is that a homemade peel …is that a couche on the peel?? I have never seen anything like it and have to have one! 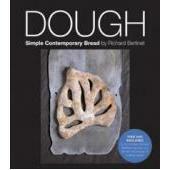 Transferer of the dough seems much,much easier. Please keep posting the videos they are so~ helpful. I would like to request that you show how you scored your dough to make that gorgeous baguette and a picture of the cross section would be wonderful too. I am in Japan and its almost 1am. I stumbled onto your site 3 hours ago! I might just have to call in sick to work tomorrow if I don’t get to sleep soon. Welcome Jules and thank you for the very kind words. Your request for further detail on my baguette scoring technique will not go unheeded! In retrospect, I should have described the technique more fully and included a video on how it is done. Sometime soon, I hope to get back to alternative methods of making baguettes and will detail baguette scoring at that time. The peel that I am using is an extra-wide SuperPeel(TM) that was custom-made for me a few years ago by the kind folks at Exo Products. I like to think of the SuperPeel as a commercial oven loader for the home baker. Their website can be found at http://www.superpeel.com/. Tell Gary at Exo Products that SteveB says “Hi”. 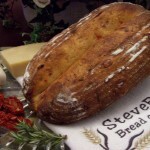 Hi Steve, you make spectacularly beautiful bread! I have big problems with steam since my oven only does convection. How big is the hole in the pan you cover the bread with? Is that a regular clothes steamer, or what? How many times do you steam during baking? What temperature did you bake this bread at? I appreciate the compliment, Patsy. The steaming technique should work particularly well with convection ovens since the steam cover will keep the bread in a moist environment by blocking the convection currents. The steamer is a regular hand-held clothes steamer. The hole in the cover was drilled so that its diameter is just slightly larger than the tip of the steamer. 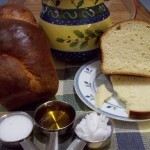 The bread is steamed only once at the beginning of the bake, then the steam cover is removed after 10-15 minutes of bake time. 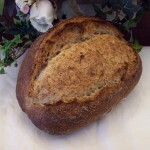 The bread shown in this post is the 40% Rye Bread with Caraway Seed and is baked at 425-450°F. That is an ingenious way to introduce steam! I have been trying to introduce steam by spraying the risen bread liberally with water just before putting it into the oven. (I’m nervous of spraying the oven itself) The disadvantage to my method is that any pattern created by flour is destroyed. I noticed you built a steam bread maker type envirnoment. I’m thinking of doing the same thin and wondered how you can offer the best way of drilling through stainless steel? Chris, I found that a simple hand drill was sufficient for drilling through the stainless steel buffet serving tray. When using an well sealed electric convection oven, fully loading the oven will generate sufficient steam to crisp-up the crust. 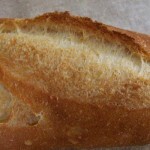 I noticed this when a double batch of french bread came out very crispy with no added steam. 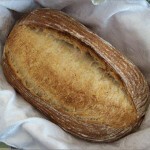 Previous single batches had softer crusts. The oven should have good, even convection action and be well sealed. That’s a good point, Sausalito. 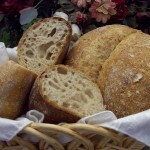 If the loaves are being baked within a tightly sealed space, often the moisture given off from the dough itself is sufficient to perform the same functions as added steam. I just discovered your site and am starting back from the beginning. Can you explain what equipment you have in the oven, and what is on the peel? 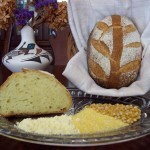 Is that linen on the peel, and the linen and the bread go onto a baker’s stone? Sorry to ask such rudimentary questions. fredrik, I use the base of a HearthKit as my baking stone and a roasting pan filled with cleaned landscaping stones on the floor of my oven to increase the oven’s thermal mass. See Comment 2 above to read more about the peel I am using. on 26 Jun 2009 at 9:25 am14 blog from OUR kitchen » And we have oven spring! on 11 Jul 2009 at 6:22 pm15 blog from OUR kitchen » Whoohoo!!! Look what I got! 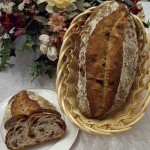 I find that the breads have a rather chewy (partner refers to it as “tough”) crust. 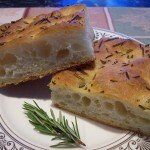 When it comes out of the oven, it appears quite crisp, but as it cools, it becomes soft. Perhaps I’m leaving water in the oven too long? Have been using a pyrex bowl filled with boiling water, inserted during oven preheat. Additionally, when the bread is added, I spray the walls. 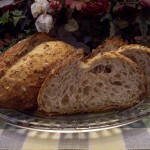 MSgtdoug, for a crispy crust, bread should be baked under steam just until it begins to take on some color. Once this occurs, you should remove your bowl of boiling water, open any oven vents that might have been closed and bake the bread for the remaining time under dry conditions. You may also want to keep the bread in the oven, with the heating source turned off and with the door propped open, for about 5 minutes after the bake is completed. If you are baking a boule and your pyrex bowl is large enough, you can cover the boule with the bowl for the first 10 minutes of the bake without any steam source whatsoever. The bowl will entrap moisture being baked out of the dough and this moisture will serve the same purpose as added steam. 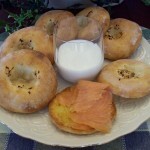 Once again, after the bread begins to take on some color, the inverted bowl should be removed and the bake continued. Thanks…. will give that a try. Do you take the lid off after 20 -30 minutes and continue the bake without it to brown? And, what is the height of your serving tray? I love this idea! Patti, the cover is removed as soon as the oven spring is complete and the loaf begins to color, usually 10-15 minutes. Baking is then continued for the remaining time with the cover removed. The height of my cover is approximately 6 inches. 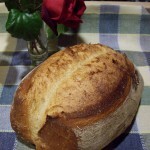 It’s always gratifying to hear when someone is happy with the bread he or she bakes. I hope your bread had a satisfying flavor as well. What are the dimensions of your stone and the size of your stainless steel pan? It looks like you cut your stone to the specific dimensions of the pan? Please enlighten. My baking stone is actually the base from a HearthKit and measures approximately 20½” wide x 14½” deep. I was able to purchase a stainless steel buffet serving tray of dimensions very close to that of the stone. nads, the video appears to be working on this end. Please make sure that you have the QuickTime plug-in properly installed and functioning on your web browser. This was a great idea. Picked up a steamer for about $25 and the whole process works extremely well. Instead of a metal pan, I use a disposable aluminum baking pan. Simple to poke a hole in and it lasts forever. Put it upside down over the baguettes and give it about 15 seconds of steam. I do it before I put the cookie sheet with the baguettes into the oven so that the oven doesn’t have a chance to cool down while steaming. I don’t use a baking stone. Hi Steve, may i know the brand of your steamer? The steamer I use is the SteamFast SF-227 hand-held steamer, although any similar hand-held steamer with a pointed nozzle should work just fine. What are the dimensions of your buffet server? I spent some time at my local restaurant supply, but couldn’t find anything really big enough to cover my stone – I’d like to get a couple of loaves in. The things I was looking at were ‘steam table inserts’ – did you buy something different? I believe the proper name for the buffet serving tray that I use for steaming is a “steam table pan”. I purchased mine some time ago from a local restaurant supply store. If that is not an option for you, then I would try any number of restaurant suppliers that sell through the web. The dimensions of my pan are approximately 21″ long x 13″ wide x 6″ deep. I just discovered your site and I think you and this website are the best thing ever after sliced bread – jeux de mots ici??? I am learning so much here. In any event, I think your steaming technique using an inverted buffet tray is fantastic. Etes-vous sur le point de froler la folie tellement c’est ingenieux? I will have to try your technique the next time I bake a baguette (at least try to make one!). 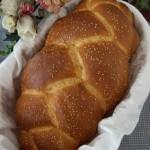 I have Reinhart’s ABED and have been baking his lean and French bread recipes. Though his breads are very tasty, I am having major problems with the oven spring (and I have used a number of very good techniques). 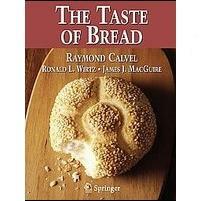 I am told that his lean breads give out only about 50% O. spring, but now that I have heard of your steaming method, I will employ it on his breads, hoping that the results could be better. I will not buy a metal one though but will poke a hole in my aluminium roasting pan. Thanks again for this. Where can I find a SteamFast SF-227 hand-held steamer, or any similar hand-held steamer? I have the pan and the stone…I now just need the hand steamer, merci. I’m glad you’re enjoying your visits to Bread cetera. I would hesitate to say that lean breads only experience an oven spring of a certain percentage. There are a number of factors, including the flour used, the degree of proofing, the tightness of shaping, and the oven configuration that determine the degree of oven spring that is achieved. By methodically experimenting with each these variables, you will soon learn the way in which each contributes to oven spring. Hand steamers of the type I use for steaming my breads should be available in any home goods store. If you have difficulty finding them locally, you should be able to purchase one on-line through outlets such as Amazon.com. Great news. 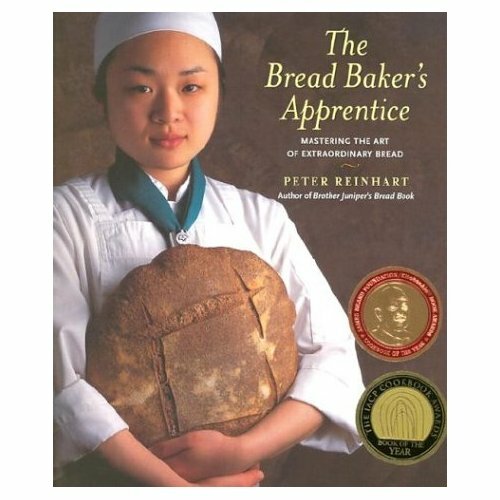 I bought a Bissel handheld steamer, poked a small hole in my aluminium roasting pan and used your steaming technique to bake Peter Reinhart’s classic French bread from his book ABED. Guess what….it was the BEST oven spring I ever got for my baguettes. The latter turned out perfectly. Crumb and crust were stunning….but more importantly, my baguettes actually looked like real baguettes (Peter’s breads ALWAYS stated good, but I was struggling with the o.spring and the final appearance of the baguette breads). Thanks to you and your steaming advice, I was able to bake something that tasted wonderful (my hair dressers always have a ball when I bring them homemade breads) yet also looked appealing. I still have a long way to go before my baguettes resemble anything like yours or the ones found in a local bakery, but I am encouraged once more. Baking half look-alike baguettes was starting to put me in total dismay but reading about your steaming pump really did the trick for me. I feel I can now move on to your baguette recipe. PS – thanks for pointing me to the Wild Yeast temperature chart; it was very easy to download Susan’s spreadsheet and let her table do the math for me. A la prochaine. I’m so glad I stumbled upon your website, SteveB! I keep finding answers on your website for a lot of questions I have. I’m a total beginner and I’m hooked. 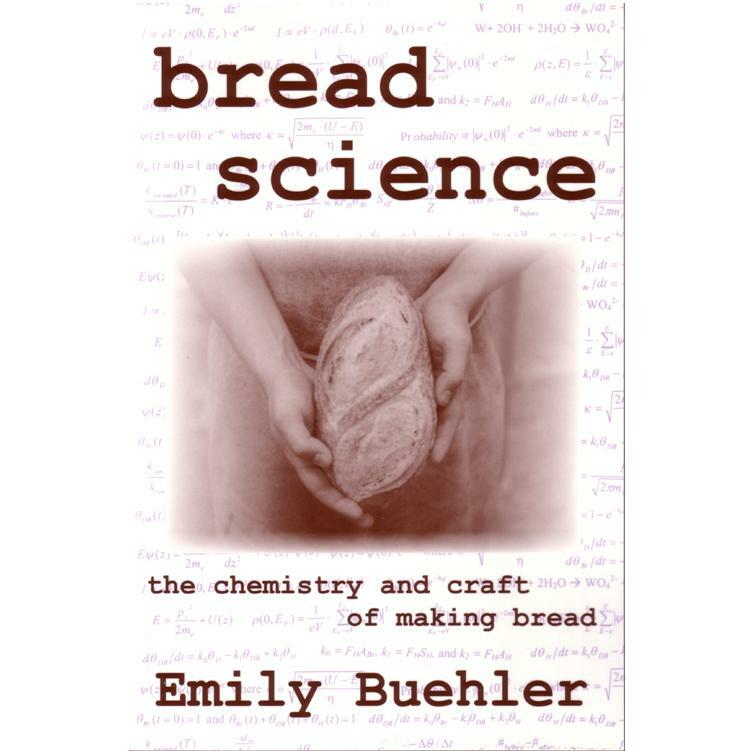 Well….I’m still in the stage of reading a lot of books/recipes/formulae and only baked a few times. that, it’ll have to wait. The hotel steam pans you describe are similar to what I’ve been using and should work fine. I ordered the pan and the steamer like you are using. Do you preheat the steam pan?? I noticed you have a DLX on the counter, do you use it much?? I am quite a gadget collector and that mixer intrigues me. I want to make whole wheat bread 2-3 loaves at a time. Last time I tried that with my KA it complained loudly. Thanks for your efforts on this blog!! I typically place the pan on a wire shelf above my oven vent to pre-heat the pan before it is used, but this is not really necessary. I haven’t used my DLX mixer in quite some time. I’ve been using a hand-held steamer and a hotel 6″ hotel pan for quite a while with good results (tried many other steam methods before settling on this one). Recently, I started baking 2lb sourdough boules (Norwich sourdough recipe), and although they look and taste great, they have a thick rather tough bottom crust. Previously, I injected 11 seconds initially and then 6 seconds at one minute and 6 seconds at 4 minutes at 475. Remove lid at 12 minutes(reduced heat to 450) and continue baking (reduce heat to 425 last 5 minutes or so. What length of time do you inject steam? Do you know the steam injection cycle commercial ovens use? I have read that longer steam injection relates to thinner crusts. Today, I am going to try one 15 second blast at the onset. My typical steam injection time is anywhere from 5-10 secs. Because the hotel pan retains the steam around the loaves, I don’t find it necessary to repeat the steaming at various times during the bake. I wish I could help you with the steam cycles of commercial ovens but unfortunately I’m not well versed in that area. Hi, just found your site. I purchased the Maggie Glezer Artisan Baking. Last fall, I tried the French sourdough starter, with absolutly no success at all. Thought maybe my house was too cool. the fifth day says to add 2/3 cup bread flour with 1/4 cup of the starter and 3 Tablespoon warm water. Well let me tell you there is no way you can get that mixture to combine. too much flour, but I tried got as much of the flour worked as possible. after about 1/2 bag of bread flour, I finally gave up. I started it again last week, having the same problem. I read somewhere in your blog that those measurments were not right. this time I have two batches going, one with the original directions. and one with only 1/3 cup of the flour. it seems to be working, but since this is my first time in this adventure. I am not sure. Do I need to just throw out all this and start over with your recipe or can it be salvaged? I love bread, and really wanted to try this method. I have a KA electric stove with reg and convection oven. do I need to do anything different. also it has a proofing option on it. sorry this is so long, but I’m getting really frustrated. There are many ways in which one can begin a new sourdough starter. There really is no one correct way, although I have seen methods that are more difficult or complicated than they need to be. If you try the method I describe here, maintaining the recommended temperatures, times and quantities of ingredients, with a little patience you should be able to create a vibrant starter. 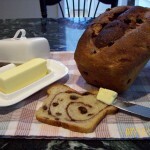 Hi steve… found your steaming method very interesting, only thing i wondered… how would you manage to do that with say a deep sandwich loaf tin? the steam pan is only 6″ deep right? Just curious as been searching online for a deeper pan, but 6″ seems to be the limit…. I’ve found that baking a 1½ lb. sandwich loaf in a standard 8½” x 4½” loaf pan doesn’t present any problems with the 6″ deep hotel pan that I’ve been using. I wanted to pass on suggestions regarding baking stones. My first baking stones were unglazed quarry tiles, available at virtually any tile or big box home store. These tiles can be cut to fit an oven shelf. Total cost around $3.00. Moved into the big leagues with the acquisition of a kiln shelf. These shelves are available at ceramics supply houses. My stone is 3/8″ inch thick and cut to the exact dimensions of my rack. Given the density of the material, the stone is left in the oven at all times providing an efficient heat sink as well as a great oven “deck”. Total cost is about $35.00. Do you think it would be helpful to paint the hotel pan black or gray? BTW, just experimented with this steaming approach today using a foil roasting pan…..vast improvement in my cuts opening, even with no added steam. I’ve ordered the hotel pan and steamer. I’m glad to hear that you’re seeing an improvement in your grigne formation. I wouldn’t think that you would see any significant difference by painting the hotel pan black or gray. Hmmm, is it possible to inject too much steam using this method? My cuts seem to be getting worse compared with just covering the bread. However, I have the 4″ pan and I probably used 15-20 seconds of steam. Ok, I see one of the problems was that I was thinking I should only leave the cover on for 5 minutes or so. I see now everyone says 10-15 minutes. It is, indeed, possible to use too much steam. I typically steam for 4-5 seconds, but leave the inverted hotel pan over my loaves until the first sign of browning, typically 10-15 minutes. I find this blog gorgeous and very useful. On steaming, I have found a way of doing it which is working well : I put 2 quarry tiles in water for five minutes and I put them in the oven 2 mn before inserting the brad. since the heating elements are burning the upper side of the bread ( the oven is at his max (230° F and the electric resistances are red…) I put my tiles just under the electric resistances to have strong steam and to protect the bread from the radiations. Thank you for sharing your method of steaming with us. There are a number of ways of producing oven steam and as you’ve indicated, oven design can be a major factor in determining which method is most effective in a given situation. Thanks for providing another option to consider. I love your technique. I went another direction with the steaming. Being a retired engineer, I naturally worked out a much more complex solution! I converted an old pressure cooker to use as a steam generator. A small valve and small diameter tubing controls and pipes the water to the oven. Since the water is at 12 – 15 PSI, it flashes to super-heated steam as soon as it leaves the plumbing. I like the simplicity of a hand held steamer, and a cover/containment for the loaf. Complexity and elegance are not necessarily mutually exclusive! I once considered a steaming approach similar to your own but because of the design of my gas-fueled oven (very well-ventilated), any steam introduced into the oven would quickly dissipate. Hence the need, in my case, to trap the steam under a hotel pan. It’s a wonderful post about steaming and I must say, your blog is fabulous. I have one question about your steaming system. Even though it might sound a bit silly, but it keep coming back to my mind as I read all comments of you and others on this post. Your steaming system is basically provide steam to a close system of inverted buffet pan tray baking stone through a small inlet hole on the tray, If I recall correctly. My question is how you drill the hole on the tray in order for the steam to just go in, not escape out of the system during baking. In my limited knowledge of science, steam suppose to rise up, and your hole is quite near the top of the tray, why can you keep the steam inside the system? 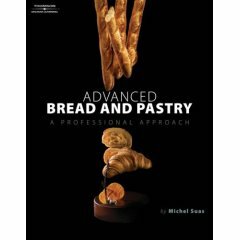 Your works have been a great motivation for me in artisan baking. I hope someday you will have time for blogging again and return. Thank you for your kind words regarding Bread cetera. Regarding the steaming method described, for the 10-15 minutes that the inverted pan is in use, any amount of steam lost through the small inlet hole would be relatively insignificant as compared to the total amount of steam injected under the pan. After watching your video, I went back and re-watched the part where you put the bread in the oven. After multiple viewings I am still unable to wrap my head around how you managed to pull out the peel so perfectly, and with such a minimum of effort. I see that you have employed some white plastic clamp-type thingies, as well as added what looks like a plastic or porcelain slab over the wood portion of the peel itself. Would you please tell me what’s up with peels, ’cause I am beating myself up over my bad habit of flubbing what should be a simple step. Thanks, your blog is boss! BTW I am a pizza-maker as well as a bread-maker. I use a custom-made SuperPeel to load my breads into the oven. Information on the SuperPeel can be found here. You should be able to find large hotel pans at your local restaurant supply store. 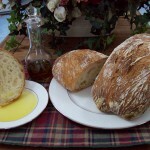 As a real amateur on bread making, I am jealous of the pictures of your bread. I have a quick question on your steamer system. Do you heat the pan when you preheat the oven? I was wondering of the temperature drop and if the steam will condense on the pan. I can see the steam rises to the top, condenses on the steel and escapes through the hole without really “touching” my bread. Maybe my mental picture is wrong. Any thoughts? While the oven is preheating, I place the hotel pan on the range on top of the oven. The heat escaping from the oven vent heats the pan. This probably isn’t necessary, though, because the relatively thin metal of the pan will come up to temperature very quickly when placed in the oven. Also, the steamer expels steams fairly forcefully, ensuring that the steam reaches the baking loaves. 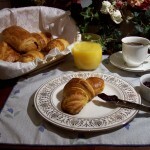 on 09 Oct 2012 at 11:59 pm68 Diego J.
Steve, Thanks! I guess that as I have never seen one of these steamers at work, so that is probably why I have a hard time visualizing it. I just ordered one from Amazon (should arrive tomorrow), so I guess I will give it a try soon. I need to get a “lid” like your pan and will do that this weekend . I have been struggling with steam and just recently heard about using an inverted deep pan over the bread to trap the bread on steam. I tried this in a large commercial convection oven. I don’t understand why having the pan over the bread wasn’t enough to get the shiny crust? If your dough is of low enough hydration and the volume of your pan is much greater than the volume of the breads being baked, there may not be a high enough concentration of steam within the inverted pan to produce the shiny crust you are after. One way to insure a high concentration of steam around the loaves is to introduce the steam through a small hole in the pan using a hand-held steamer, as shown here. I’ve never obtained an overly-darkened grigne using the above procedure. 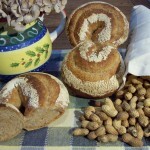 A typical grigne obtained is shown here. Hmmm, that’s very nice. Mine are as fully dark as anything on the crust. I guess that rules out this method as the problem. Are you cuts fully opened by the time your cover comes off? I’d estimate that almost all of the oven spring occurs prior to removal of the cover. When the cover is removed and the steam allowed to dissipate, the crust should still be quite pale with only a hint of browning beginning to show. Until I can get a better oven, the kitchen I rent only has convection. When I baked on sheet pans, the current would lift up the perimeter of the boule and they would come out looking like flying saucers. Then I switched to aluminum pots (with the handles removed but the hole plugged with a screw and nut) This worked for trapping the steam, but after I remove the lid to finish off the loaf the convection dries it out and it totally loses its shininess. So then I would leave the lids on until the very end, but would have to take them off to brown the tops. When I do this I get bread that looks like it has boils or chicken pox all over it. Any suggestions? Thanks. 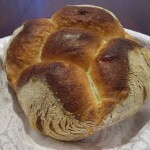 The shine of a loaf’s crust, assuming no egg or cornstarch wash has been applied, comes from the steam-promoted gelatinization of surface starch and should not be lost from ‘drying out’. Perhaps not enough steam is being generated by the loaf during baking. This might be caused by insufficient dough hydration or perhaps even insufficient proofing. Awesome. Thank you so much for the advice and your prompt response. Have a great day! Thank you so much for the information. I am new to bread making and look forward to learning from your experience! I have a Fornetto wood fired oven that I plan on using when I bake bread. This oven is not a domed brick oven. Do I need to modify the recipe and/or process when baking bread in this type of wood fired oven? Having never had the opportunity to bake bread in a wood fired oven, I’m not in the position of being able to provide any definitive recommendations in that area. I would imagine that no changes to the recipe should be needed. Baking and steaming times may need to be adjusted to fit thermal characteristics of your oven. 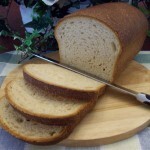 Great information about steaming loaves! The HearthKits aren’t available on Amazon anymore. Would a large pizza stone work just as well? 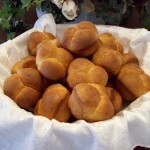 Also, because it’s crusty rolls that we love, would the same procedure work for rolls? Would you place them on parchment paper and slide them onto the stone that way? Any suggestions will be greatly appreciated. Thanks! 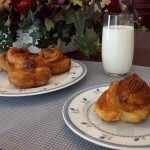 Yes, the same procedure should work fine for baking crusty rolls. Using a large pizza stone and parchment paper in the way you described should also work well.